The eminent Russian Indologist Felix Yurlov outlines the intricacies behind the writing of the Constitution of India. India celebrated Constitution Day on 26th November 2016. The Indian Constitution was adopted by the Constituent Assembly on that day in 1949. The Constitution was adopted on 26th January 1950, when India was declared a Sovereign, Democratic Republic. In 1976, by a Constitutional Amendment, India became a Sovereign, Socialist, Secular, Democratic Republic. The Constituent Assembly was inaugurated in December 1946. The Draft of the Constitution was published in January 1948. Over eight months, the Constitution was widely discussed at different forums in India, after which the draft was discussed within the Constituent Assembly, article by article, between 15th November 1948 and October 1949. There were a total of 7635 amendments, of which 2473 were discussed inside the Assembly before the Constitution was adopted. The Constituent Assembly had more than 300 members, including nine women. As many as 12 members had law degrees, including Jawaharlal Nehru, Vallabhai Patel, Rajendra Prasad, and Bhimrao Ramji Ambedkar. Apart from the members sent by the provinces of British India, the Constituent Assembly had representatives of different castes and religious groups. 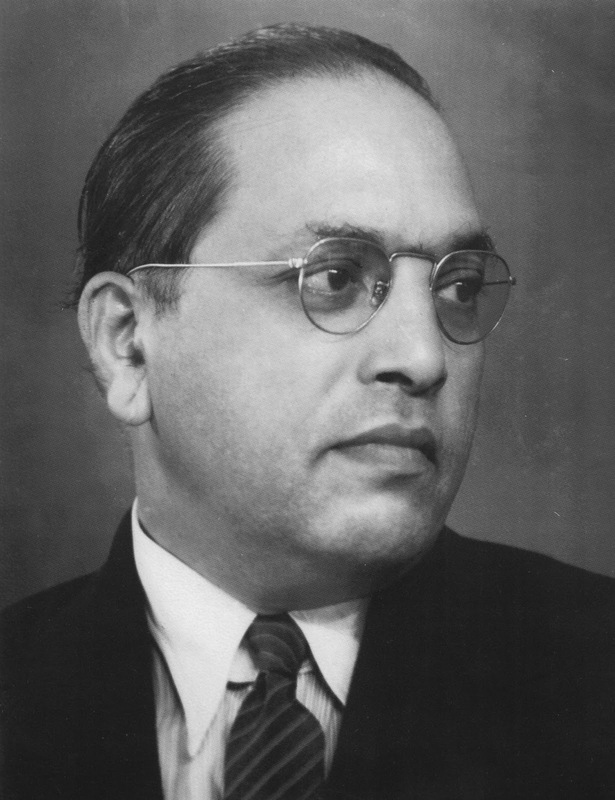 The most crucial member of the Assembly was the brilliant lawyer Ambedkar. He was law minister in the Interim Union government, and also Chairman of the Drafting Committee of the Indian Constitution. Ambedkar said that he came into the Constituent Assembly with no greater aspiration than to safeguard the interests of the Scheduled Castes. “I had not the remotest idea that I would be called upon to undertake more responsible functions. I was therefore greatly surprised,” he said, “when the Assembly elected me to the Drafting Committee. I was more than surprised when the Drafting Committee elected me to be its Chairman”. The Constitution of India had to meet many competing claims and demands. Linguistic minorities asked for freedom of speech in the mother tongue and the redistribution of provinces on linguistic basis. Religious minorities asked for special safeguards. The task was made harder by the turmoil of the times. The Assembly met against a backdrop of partition of India, food scarcity, religious riots and refugee resettlement. Ambedkar oсcupied a towering position as a leader of the backward classes. But he was also one of the makers of modern India and the architect of its present constitutional order. His observations on constitutional morality, made at a critical juncture in India’s social and political life, were of the utmost significance not only for the backward classes or the minorities, but for all Indians. The Constituent Assembly met in an atmosphere of great expectation. The country had attained freedom after a long period of colonial rule. And there were great possibilities of constructing a new social order based on liberty, equality and social harmony. From being subjects of an alien power, Indians had become citizens in their own land. The Constitution was designed to serve the needs of a modern society. It looked to the future rather than the past. Ambedkar did not wish to take India back to its past, but to take its place to the forefront of the comity of free and independent nations of the modern world. He felt the lack of a living democratic tradition in India. Indian society was not a society of citizens based on the equal consideration of individuals without regard for caste, creed or gender. To transform such society into one of citizens would be a very difficult task. The Constitution could provide a legal framework, but not sufficient condition for such a transformation. Ambedkar said that the principles embodied in the Constitution were the views of the present generation, and should not bind the succeeding generations. The Indian Constitution was created by Indians for India. That is why it has successfully served the Indian people for 70 years. It was not looked upon as something dead and not adjustable to a changing situation. It has been amended more than 100 times. Ambedkar spoke about possible dangers to democracy India may confront in future. To maintain democracy the first thing was to hold fast to constitutional methods of achieving social and economic objectives. It means, he said, “we must abandon the bloody methods of revolution”. He also said, “The working of a Constitution does not depend wholly upon the nature of the Constitution. The Constitution can provide only the organs of State such as the Legislature, the Executive and the Judiciary. The factors on which the working of those organs of the State depend are the people and the political parties. We must also make our political democracy a social democracy as well. Political democracy cannot last unless it lies at the base of its social democracy. What does social democracy mean? It means a way of life which recognizes liberty, equality and fraternity as principles of life”. While celebrating Ambedkar’s 125th birth anniversary earlier this year, Indian Prime-Minister Narendra Modi, while inaugurating the Ambedkar Bhavan in London, stressed his role as a crusader for social justice. According to the Prime-Minister, good governance implies bringing in transformation in the life of the common man in India.